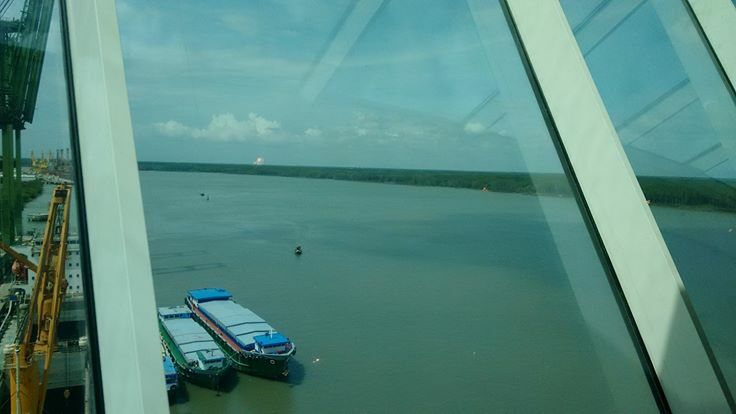 Since I last sat down to write, we packed up our things in Penang, flew to Singapore and boarded a Royal Caribbean re-positioning cruise that is bound for Shanghai, China. We’ve entered a slightly more active phase of travel. There were a few more places in Asia that we wanted to visit this year and – believe it or not – a cruise can be one of the more economical ways to visit a number of locations, in a relatively short period of time. This is the first time that Morgan and Artie have been on a cruise ship. Artie is finding that this way of life agrees with him. Our room is tiny… and I’ve given up all illusions that I can handle living in a tiny house after a few days in that room with my family. The staff are all well educated on gluten allergies (which is so refreshing) and take (super, amazing) care of Morgan. Because this is a re-positioning cruise, it stops in a few less than traditional cruise ports. Our first stop was in a shipping port, about a two hour drive from Saigon. Our stop yesterday was at a (HUGE) naval base called Cam Rahn, about an hour from Nha Trang. We decided to take a shore excursion, that we understood was going to be a river cruise. There are certain expectations that we had when we read the words “river cruise”… those expectations were unfulfilled. We did however, get to visit an embroidery workshop on the excursion. The work that we saw was beautiful. Many of the pictures can take several (3-4) women up to a year to complete. We saw some beautiful beaches (that we really wish we could have explored). We got to stop at a “traditional Vietnamese home”, and eat some fruit. I enjoyed the garden. I always enjoy a garden. We walked (and walked and walked) to the “river cruise” boat. We managed to catch some views of the gorgeous hills during that walk. When we got off the boat, we walked to a Cham Temple. By this point in the day, it was raining so Morgan and I hung out near the bottom of the hill. All in all, once we adjusted our expectations – we were satisfied with what we saw in Nah Trang in the few hours that we were there. When we got back to the cruise ship, we ate (amazing) burgers in a restaurant with windows and sat there as the ship left port – and yes, that was the best part of the day for everyone. 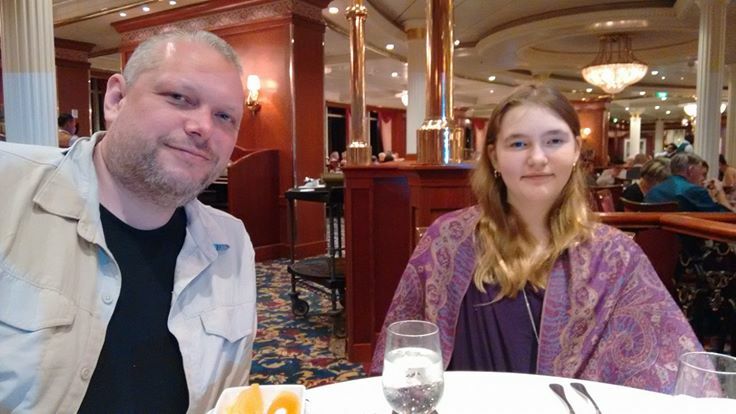 I hope that when Morgan and Artie are older, they will remember laughing in that restaurant with us… and tell their own kids about that time that they sat eating burgers, on a cruise ship as it was leaving a naval base in Vietnam. I am so enjoying your blog, Kay! My family and I are big cruise fans so I’m happy you are enjoying this next phase in your trip. Safe travels! So good to hear from you Gay! I’m beginning to understand why people are fans of cruises 🙂 Thanks for your kind words and for stopping by.